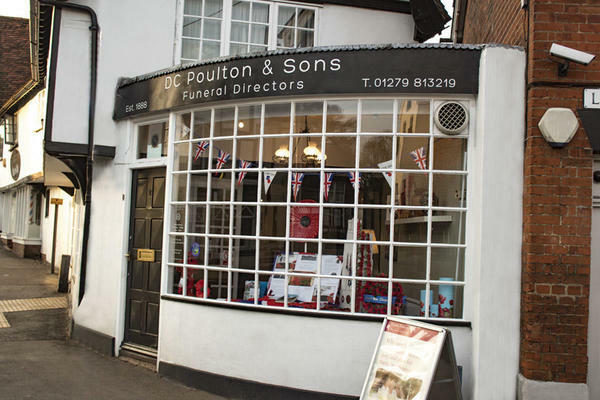 We are D C Poulton & Sons Funeral Directors in Stansted. For over 130 years, we have been arranging beautifully conducted funerals for the families of Essex, dedicating ourselves to making a difficult time a little easier for every person in our care. From a traditional religious ceremony to a colourful celebration of life, whatever type of service you choose, we will make sure it is personal to the life of your loved one. We will conduct every detail with kindness and integrity. Our funeral home at Chapel Hill opened in 1997, in order to give more of our support to families in Stansted. We have a chapel of rest that offers a place of peace and solitude for you to spend time with your loved one before the funeral. The quality of our care that you, your family and your loved one will receive will be second to none, because your comfort and wellbeing always come first. Please give us a call as soon as you need us, we are here to guide and support you every step of the way. Call us today on 01279 813219 to talk through your personal requirements. You can park for free on the road for up to two hours. You can find our funeral home opposite the Kings Head Public House, on the corner of Chapel Hill. Our staff are available 24 hours a day on 01279 813219 if you require our services outside of these hours.